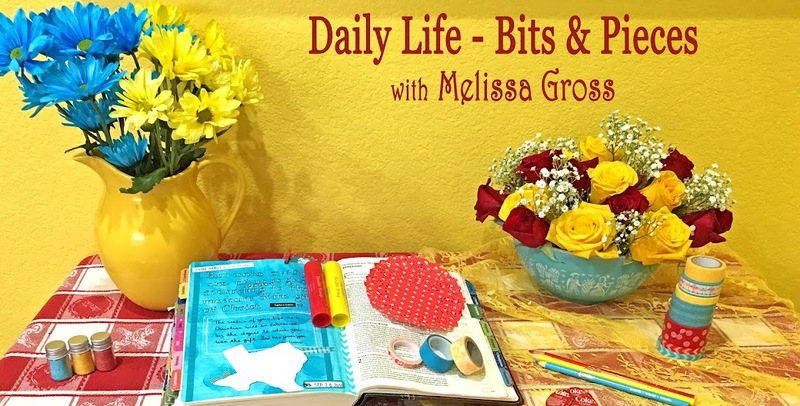 Today I'm sharing with you ten of the reasons I enjoy mail art - sending & receiving! 1. 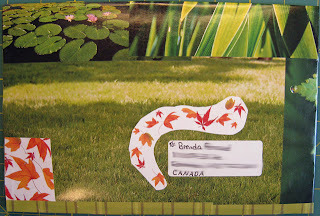 Creating Mail Art gives me an opportunity to try new things: I wanted to try my hand at creating my own envelope out of a magazine page, however I was afraid it would be too flimsy or that I would botch it up, so I improvised instead by covering a bank deposit envelope with a page from an Ethan Allen catalog. 2. 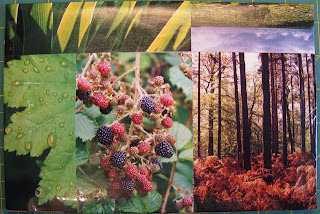 Sending Mail Art allows me to use items I might otherwise throw away: The theme of Ginger's September Mail Art Exchange was "earth", so I used some of the nature photos from my page-a-day calendar to cover a used Shutterfly envelope to create a piece of mail art. Here's a look at the front & back. 3. Finding surprise Mail Art makes me smile: The most exciting part of the Mail Art Exchange was receiving EXTRA surprise pieces of Mail Art! This first one came from Amy of Over at our Place. The envelope contained a card from Amy saying "Hello" and another photo card with quote. 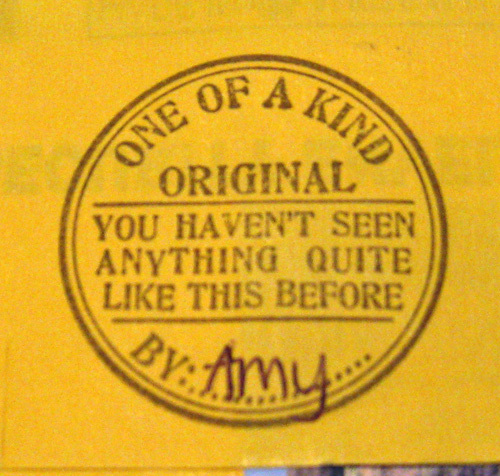 4 Learning about new tools I really need want: I really like this stamp that Amy used on the back of the envelope! 5. Discovering my Mail Art showcased on other blogs: I recently sent a Happy Mail package to Stacy Julian - you can see it on her blog here. 6. Remembering that simple techniques can have a big impact: Another piece of surprise mail arrived from Ruth, a 4"x4" envelope covered with little bits & pieces. I love the way she simply punched circles from map paper for some of the embellishments. 7. Seeing techniques I haven't tried "in real life": A few days later I received another surprise in my mailbox, this one from Ginger. I especially like the way she used a Heidi Swapp mask and Ranger inks to create the leaf pattern on the envelope. 8. 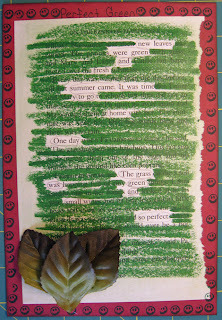 Sharing "found poetry" with others: I'm enjoying this new art journal technique and created a card to send in one of my Mail Art envelope. 9. Laughing at the strange timing of international mailing: If Ginger mails an item to me from Canada, I receive it in about seven days. If I mail an item to Ginger, she receives it in about three weeks! 10. 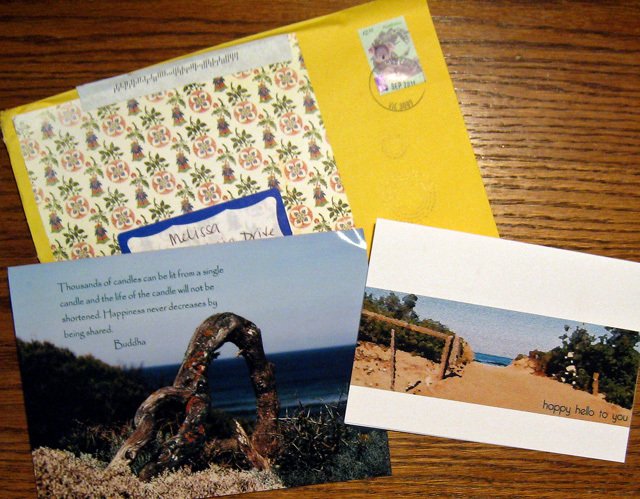 Connecting with others from around the world: Whether it's coming from Canada or the UK or Australia or right here in the United States or somewhere else in the world, I enjoy connecting with bloggy friends from all around the globe, sharing Mail Art & inspiration through the postal system! What a happy post! Love the mail art!! One of my first online classes was a mail art class with Shimelle! That's when I bought my first stamps. great way to showcase all your mail art! 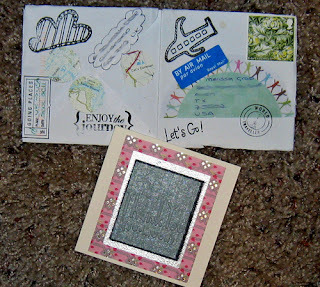 Love this post....and love mail art as well.It's so good to send and receive Happy Mail!! I enjoyed making my own envelopes. I love the stamp Amy used as well...and I've also noticed that about the Canadian mail....even to the UK. I'm trying to work out a way to make my xmas card envelopes more interesting....without it taking too much time. I have seen some great "tens" this month - but this is one of my favourite! Such a lovely read Melissa. I love these, Melissa. Snail mail and especially mail art like you are sharing is a lost art for sure. I miss the days of waiting for something good in the mail. Here in Beijing mail is unreliable, so I rarely get anything! I do have one friend who sends me handmade cards that make it most of the time. It is a treat. Those mail art exchanges look like great fun! Love it Melissa!! Yes our Canadian mail is very slow!! One thing though, the ladies at my post office sure comment on the mail art going out... they always say nice things, so I`m sure the postal carriers think the same! 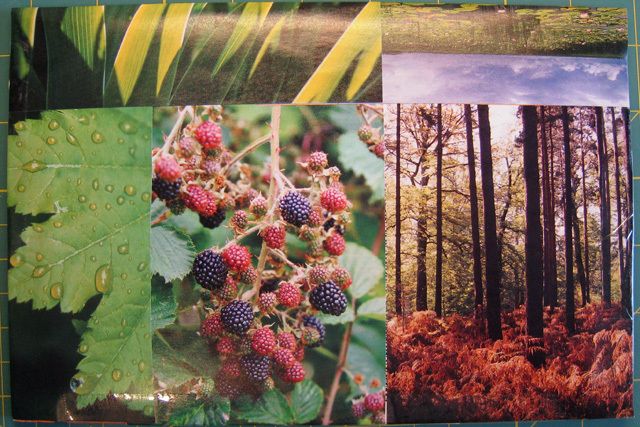 I decided to post a ten things on what I`m thankful for :) I`ll do the mail art next time :) Hope you day is going well! Great topic! 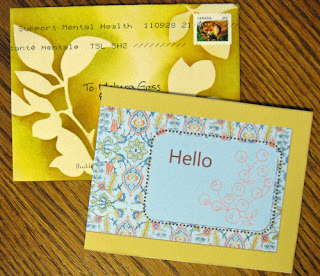 Love the stamp Amy used and mygosh Ginger is sending out some beautiful mail this month. 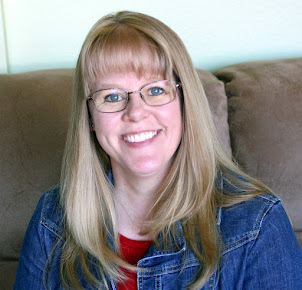 I am really excited about the 52 weeks of mail project :) And being posted about by Stacey Julian...wow! Great topic - you make it all sound like a LOT of fun! It all sounds so fun! I have yours in a to-do pile b/c I want to showcase it on my blog!! I'm getting there! Will have to check out the Mail Art group you are talking about! Considering the mail I usually get, this would surely brighten my day! Glad to see that there is still a fun way to communicate non-electronically! OOooo I really want to join in the next mail art now. I meant to sign up for this one, but somehow missed it in the melee that is my life! There's nothing better than happy mail, and this is surely a great way to get some! I'll bet the folks who received your mail art were just as thrilled as you were. Yes, I love mail art :) Receiving something like that - especially unexpectedly - is just as much fun as creating it and sending it on its way! Gorgeous stuff! 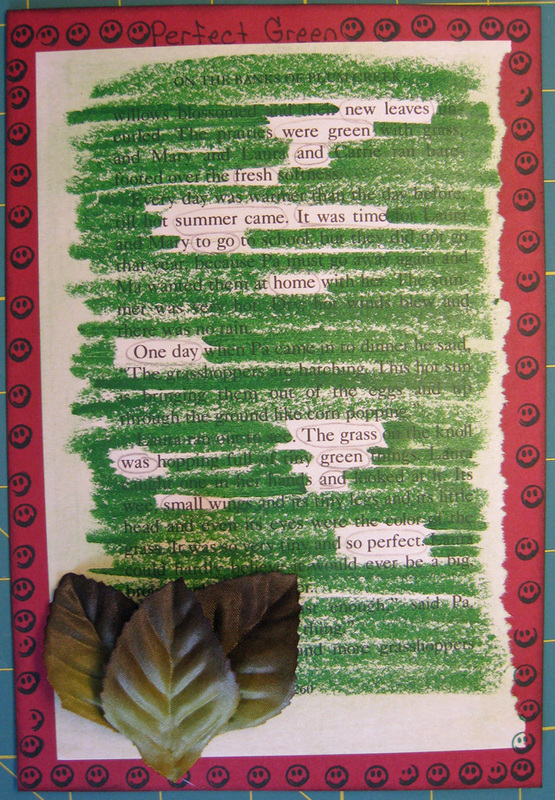 I really like the 'found' poetry idea too. Such a lovely post :). Our post seems to be inconsistent, some of my art I sent off arrived in less than a week ... from all the way down here ... and then, others took considerably longer!